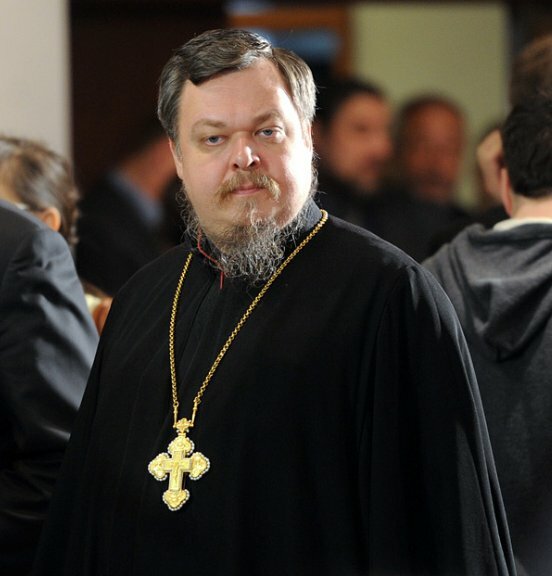 Moscow, July 15, Interfax - Head of the Synodal Department for Church and Society Relations Archpriest Vsevolod Chaplin believes that fight for the triumph of moral values is underway in Ukraine. “There are various positions, there are two truths, or even more human private truths about developments in Ukraine, but for an Orthodox believer God’s truth should be higher, priority of moral values should be higher, priority of freedom for Orthodox peoples in modern world should be higher,” Father Vsevolod said on Tuesday at a session of the Russian Public Chamber. “We must understand it clearly: there are different positions and there are grounds to protect these positions with weapons in hands,” he said.